1 Cohen SP. 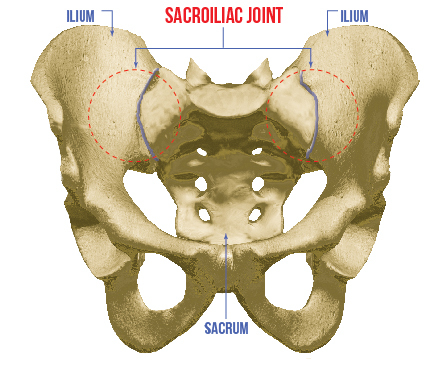 Sacroiliac Joint Pain: A Comprehensive Review of Anatomy, Diagnosis,and Treatment. Anesth Analg. 2005;101(5):1440-53. 2 DePalma MJ, et al. Etiology of Chronic Low Back Pain in Patients Having Undergone Lumbar Fusion. Pain Med. 2011;12(5):732-9. 3 Liliang, PC, Lu K, Liang CL, Tsai YD, Wang KW, and Chen HJ. Sacroiliac Joint Pain After Lumbar and Lumbosacral Fusion: Findings Using Dual Sacroiliac Joint Blocks. Pain Med. 2011;12(4):565-70.